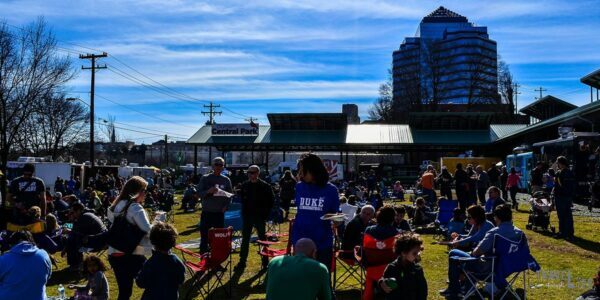 On certain Sundays throughout the year, Durham holds an awesome event known as a “Food Truck Rodeo.” Typically, it’s when around 50 local street food vendors plop down in Durham Central Park and dominate a tiny slice of the city for a few hours. According to Durham Central Park, the event is largely responsible for starting the whole food truck craze in the Research Triangle. It’s usually on for four hours and for such a small part of the day, there’s tons of stuff to see, do, and yes, eat! You’ll find all sorts of food at these things, including NC hits like barbecue. Some of my personal highlights are getting a taste of some Banh Mi Ha Long, whose delicious sandwiches take back to Hanoi and Ho Chi Minh City, with that oh so familiar first bite of cilantro and everything else that follows. Mr. A’s Beignets from Apex are a wonderful reminder of our trip to New Orleans and those fabulous, sugary delights that should start anyone’s day. My favorite dumpling truck, Chirba Chirba, is usually there and you should start with their juicy buns and glass noodles. That’s my favorite combo! Probably more important than any other event, you have to arrive early to get in on the food here. 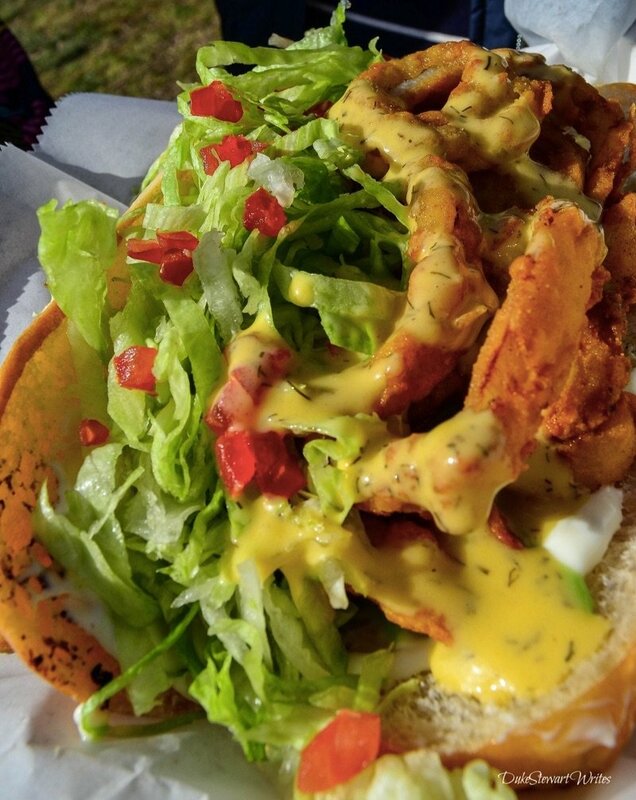 Some trucks like Cousins Maine Lobster will already have an hour-long wait at the time they open, but you can get in and out quickest (that’s relative) if you get to a Food Truck Rodeo right when it opens. I remember waiting in line for wings one time and seeing the vendor start to refund everyone because they ran out of food! So not only should you come early to avoid crowds, but also to get fed! If it’s not too hot, the grassy field in the middle of the Farmers Market will fill up with people who’ve come prepared with blankets and chairs to enjoy the day. 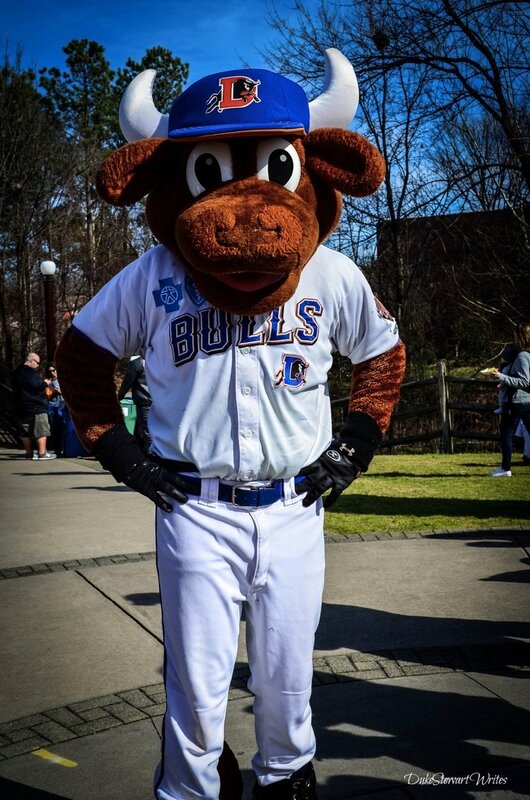 Aside from all the people walking around, one of Durham’s iconic characters, Bulls mascot Wool E. Bull, will be saying hello to everyone. 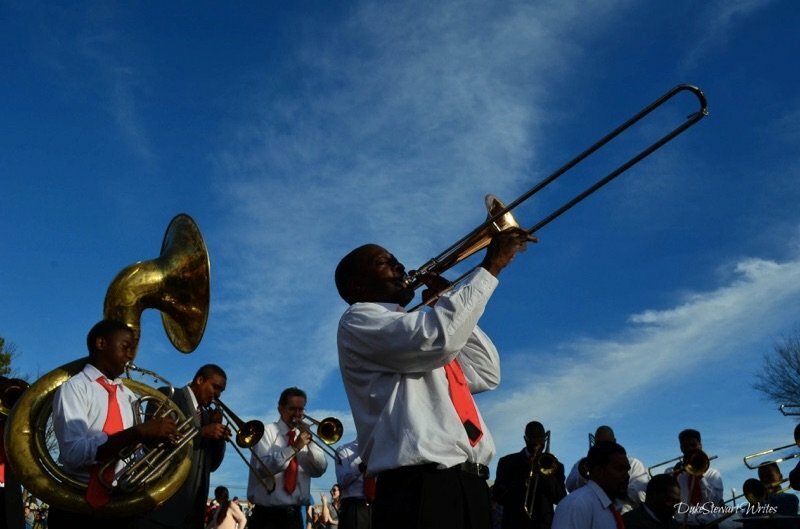 The event organizers will sometimes have invited a musician or two to play at Central Park and that’s a great addition to the day. Events like the Durham Food Truck Rodeo are just another reason that I love this city. If you don’t live here already, come and stay on a weekend when the Food Truck Rodeo is going on. It combines an amazing food scene with a family atmosphere and the people of Durham Central Park are pretty smart to organize it. I love this city and thanks to days like this at the Durham Food Truck Rodeo, I’m not going anywhere for a while. For more info on future Durham Food Truck Rodeos, Durham Central Park has a page dedicated to it. What do you think of the Durham Food Truck Rodeo? Have you ever been to an event like this in your town? Let me read your thoughts in the comments section! This guide is part of our series on Food Travel, North Carolina Travel, and Durham Travel. It was originally created on February 5, 2016. It has been maintained and updated (as of December 30, 2018) on our blog to reflect current viewpoints and travel destination trends. If you love this event but don’t want to deal with big crowds or long lines in the future, check out the “Trucks from the Market” event that Durham Central Park holds annually as part of their “Meals from the Market” series. It’s a ticketed event which means entrance is capped, so no lines! You pay the ticket price ($50 historically) which gets you two beers (usually Fullsteam) and a sample of whatever each truck decides to serve that night. There are usually about 15+ trucks and they are always generous with their servings, so it amounts to an enormous amount of delicious food. You can share your ticket and even two adults on one ticket end up leaving stuffed. You can always take some to-go containers, too. Plus, it is a fundraiser for the wonderful DCP, so it’s a win for everyone! Hi Rebecca, thanks for the tip! I’ll definitely check this out and splurge for the space:) If Fullsteam and DCP are a part of it, I’m in! Btw, did you recently leave Durham for a stay abroad, or am I crazy? Could’ve sworn you told me this via the Twitter. Anyway, all the best and I hope to stay in touch! Excellent writeup. Moved this month from Iowa to Chapel Hill,NC. Your article made me mark March 13th in my calendar. Hi Sean, thanks for stopping by! How are you liking life here so far? I’m loving it, my friend! Maybe we can meet up during the next rodeo? All the best and I hope to stay in touch! Great stuff, man! I love how you ‘wake up’ after eating the Vietnamese sandwich and have to flee the scene — the visual had me cracking up. I’m the same, I think I love food to a criminal degree. I’m imagining that Banh Mi and now going to look up that truck to see when they’re in the area. Like I said before, get here and I’ll gladly cart you around after a few rounds, lol. I have this problem where I eat something so fast, I don’t even remember what it is. You ever do that? If so, then we’re definitely kindred spirits! Anyway, thanks man and I wonder. They have anything like this in NZ? It’d be interesting to see the contrasts between theirs and ours. Great sum up of a great day with you guys. I can smell the food, hear the laughter of the people we met and that awesome band with your article. Thanks! It was a great day, Pam. Thanks again for dragging us along in your own food adventures through Jamaica there:) I’m fasting for the next one and I expect you two to do the same! I’m a big fan of Carolina barbeque so that’s what I would headed for. I’m sue it was well represented. Too quickly devoured to photo but yes, there was a mighty fine brisket sandwich that was shared among our party. Thanks, Ken!